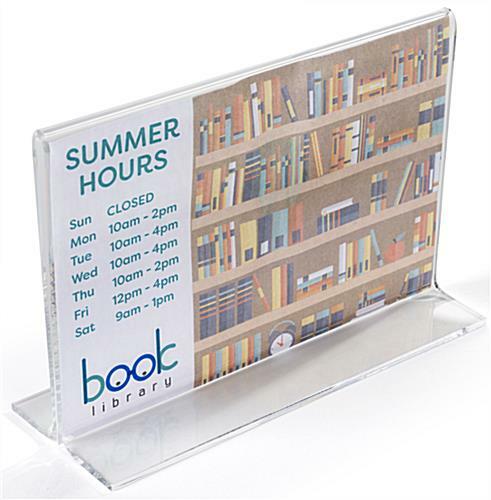 This Picture Frame Is Perfect For Small Signs! 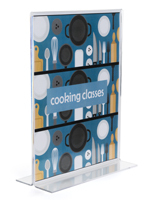 This Picture Frame Is In Stock And Ready To Ship When You Order Today! 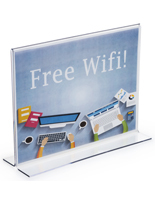 This Picture Frame is an economic alternative to higher-priced frames. 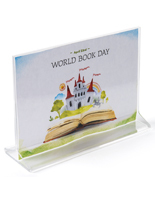 It is constructed of sturdy acrylic and holds 6" wide by 4" high graphics. 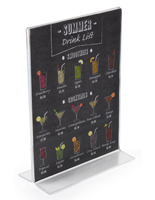 Top selling Picture Frame for images printed with a horizontal format. 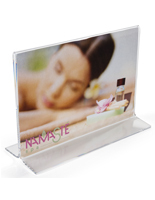 6" wide x 4" high bottom loading horizontal Picture Frame. Paper slips in effortlessly through the bottom and sides. 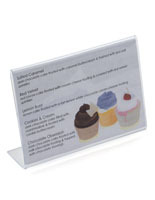 Accommodates two 6" wide by 4" high sheets back-to-back for double sided viewing.